NATO Secretary General condemned on Thursday the attack on a NATO convoy in Afghanistan which claimed lives of two US soldiers. 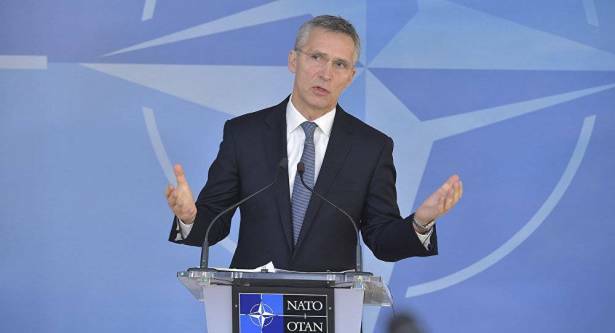 NATO Secretary General Jens Stoltenberg condemned on Thursday the attack on a NATO convoy in Afghanistan which claimed lives of two US soldiers. "I strongly condemn yesterday's attack on a NATO convoy in the Kandahar province of Afghanistan, which left two US soldiers dead and four more wounded … This cowardly and brutal attack will not deter us in our mission to help the Afghan security forces stabilise their country, and prevent it from ever again becoming a safe haven for international terrorism," Stoltenberg said in a statement. A NATO convoy was attacked in Afghanistan’s Kandahar on Wednesday, casualties reported, NATO’s mission to Afghanistan said. Earlier in the day, it was reported that an explosion took place in Kandahar, with a suicide attacker targeting a security forces convoy containing international troops. No terrorist group has claimed responsibility for the attack yet. Afghanistan has long been suffering from unstable political, social and security situation due to the activity of Daesh (banned in Russia) and the Taliban. The Afghan National Defense and Security Forces supported by the US-led coalition are currently conducting joint offensive operations to combat terrorism across the country.